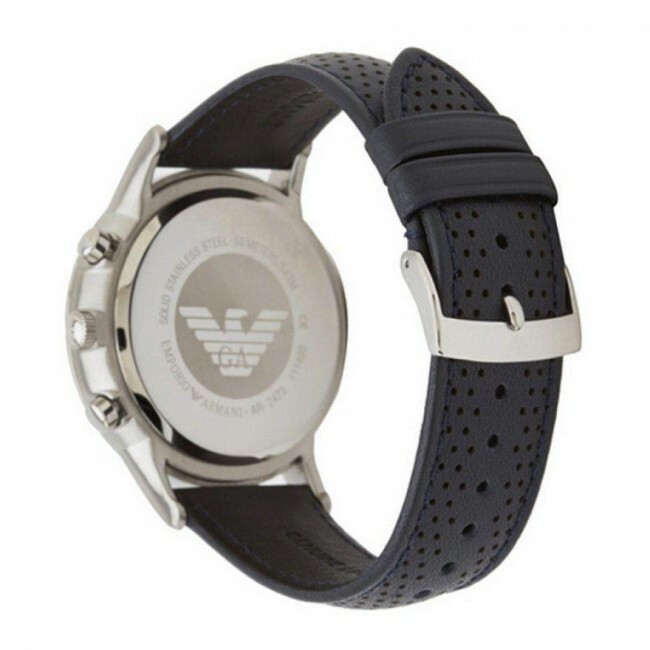 A stylish men's design from Emporio Armani. 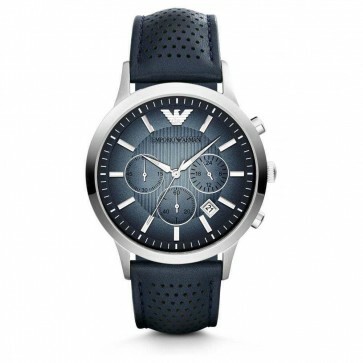 This piece has a round stainless steel case with a stunning blue dial. It features silver baton hour markers, silver hands, date function and chronograph. 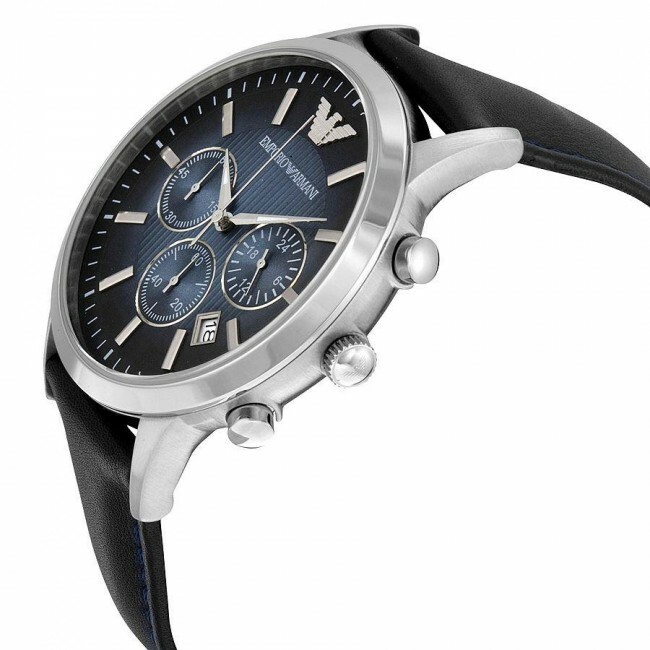 This watch fastens with a striking deep blue leather strap and is powered by a quality quartz movement. 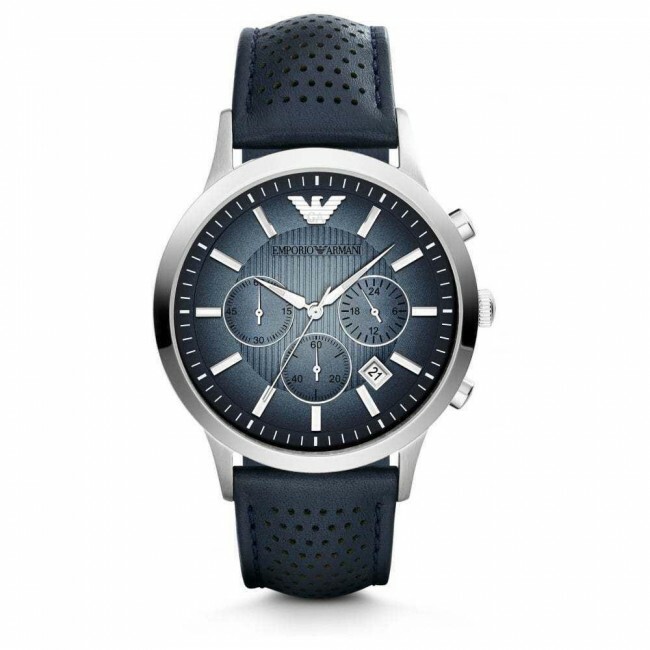 A stylish men's design from Emporio Armani. 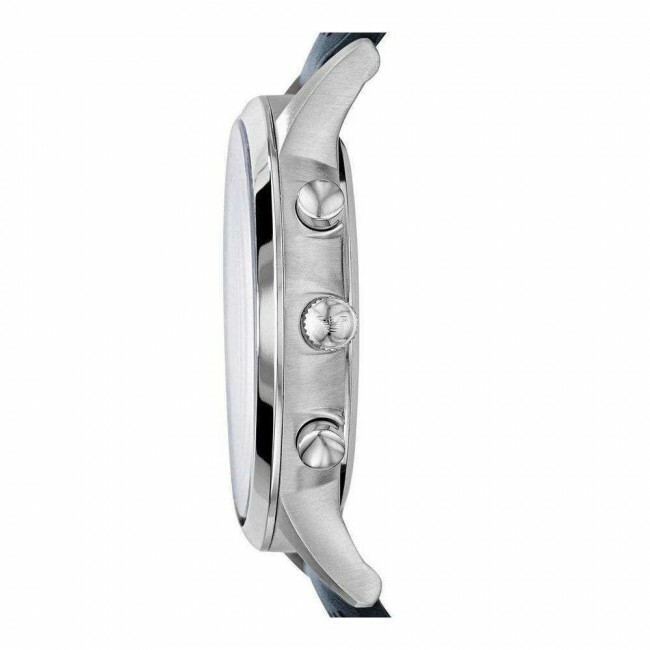 This piece has a round stainless steel case with a stunning blue dial. It features silver baton hour markers, silver hands, date function and chronograph. This watch fastens with a striking deep blue leather strap and is powered by a quality quartz movement.